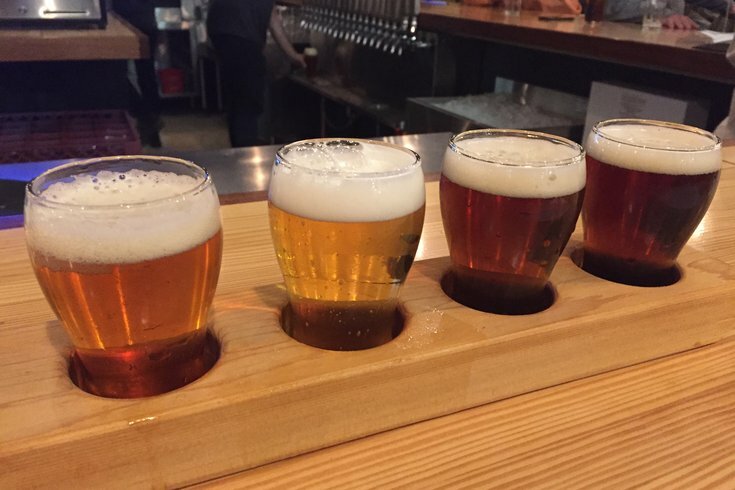 A flight of beer at Yards' Taproom. Yards Brewing Company is a big part of Philadelphia’s craft brewing scene, and now it’s also involved in the city’s aviation scene. The airport’s CRO Jim Tyrell, Yards founder Tom Kehoe, and City Councilman Mark Squilla were all on hand for the ribbon-cutting ceremony. It doesn’t sound like it’ll feature the entire spread from Yards’ taproom on 5th Street, in food nor beverage, but more good beer in an airport is still an upgrade. According to the marketplace’s website, the Yards outpost will be open daily from 5:15 a.m. (that seems early!) to 10 p.m.